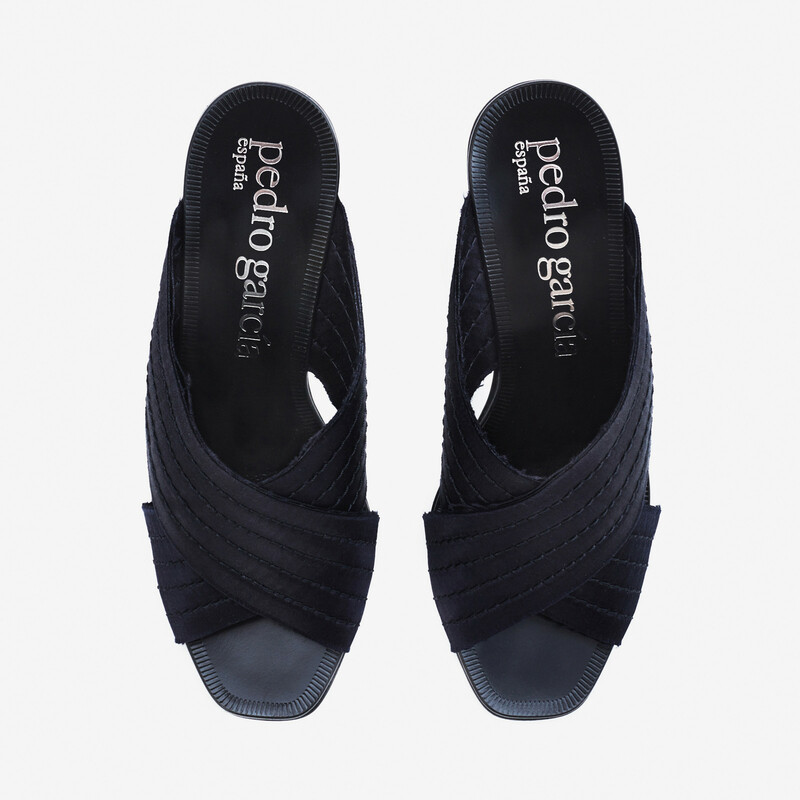 The slide heels by Pedro Garcia have stitched raw edge criss crossed bands in dark blue silk satin. A smart block heel and easy-to-wear design combine both comfort and height, practicality and wearability. 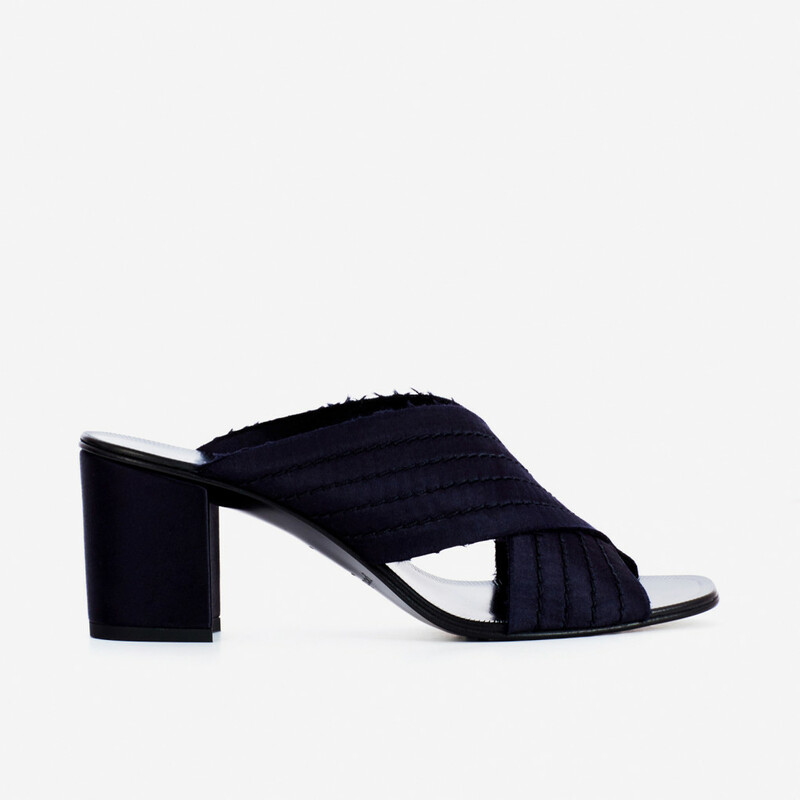 1 x Xail Slip-On Heels was added to your shopping bag. 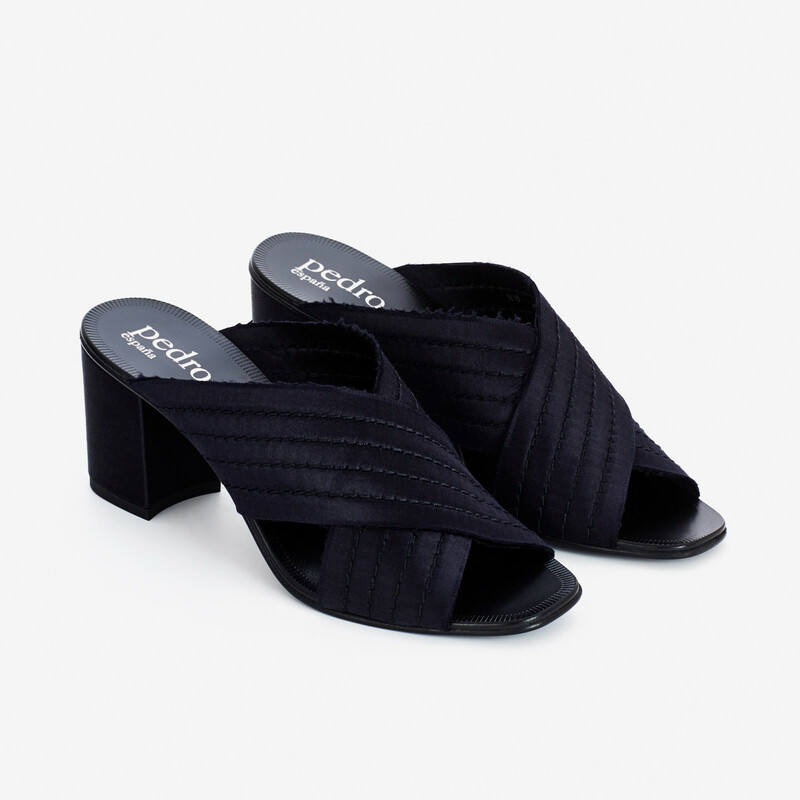 1 x Xail Slip-On Heels was added to your wishlist.